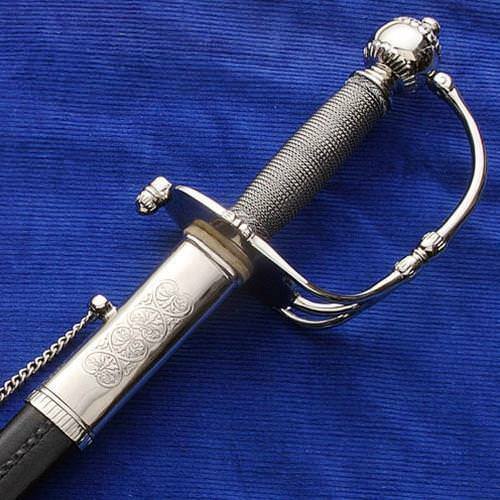 Sometimes called a court or dress sword this beauty is typical of affluent 17th and 18th century society and would have seen many successful duels in its day. We found it in a private collection and couldn’t resist putting it into production. 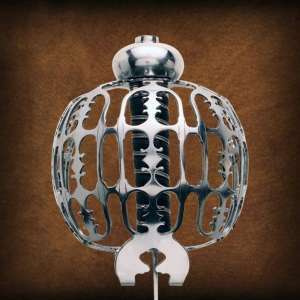 Highly detailed from the classic clam shell hilt to the floral etched ricasso which continues onto the scabbard parts. 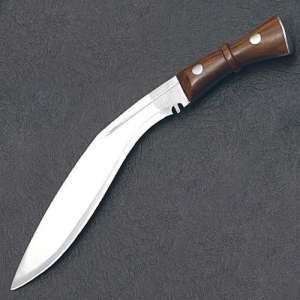 The hand forged, high carbon steel blade is lightning fast and fully tempered. 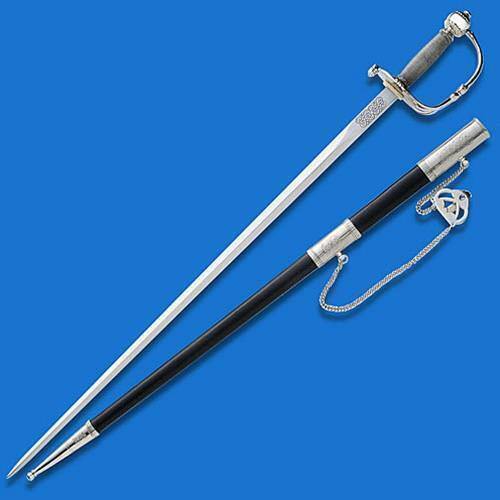 Hilt and scabbard parts are solid metal and plated in nickel. 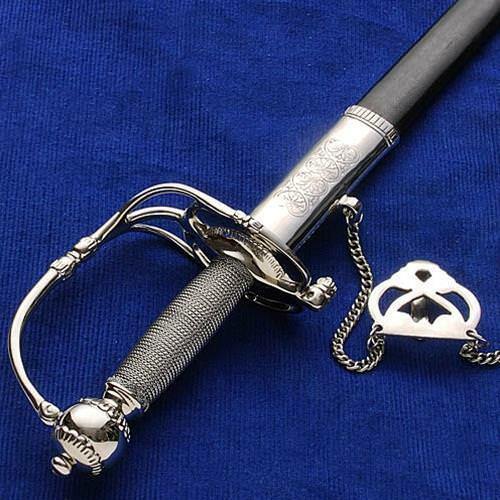 Leather scabbard includes decorative belt clip and chains so the sword hangs properly. Made by Windlass Steelcrafts.